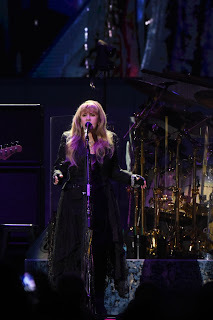 Fleetwood Mac vocalist Stevie Nicks had just concluded “Gypsy” on Saturday at the Smoothie King Center when guitarist Mike Campbell stepped to the microphone. “She is our gypsy!” Campbell enthused. That Campbell felt comfortable enough and empowered enough to count himself in that "our" spoke volumes about his status in Fleetwood Mac. 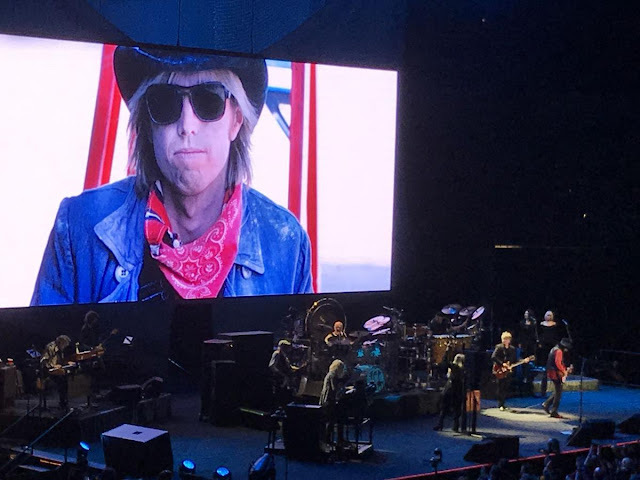 The Tom Petty & the Heartbreakers alumnus, as well as Crowded House singer/guitarist Neil Finn, joined the band last year to replace the fired Lindsey Buckingham. But as Campbell’s comment illustrated, and as the whole of the two-plus hour performance demonstrated, he and Finn are not simply stand-ins. They are fully ingrained members of a new incarnation of Fleetwood Mac, the latest of many roster re-configurations. The only holdovers from the band’s 1968 debut album are, appropriately, the “Fleetwood” and “Mac” enshrined in the name: drummer Mick Fleetwood and bassist John “Mac” McVie. Everyone else has come and gone and come back again. Despite decades of drama, Fleetwood Mac demonstrated for a sold-out Smoothie King Center that it is still very much a fully functioning, organic band, one that is not content to simply recite the hits. Instead, they played those hits, plus a handful of obscurities. They also extended arrangements, embarked on improvised passages, and took full advantage of the ample talents of the two new recruits. Consider the blues jam that followed “Black Magic Woman,” led by Campbell and Nicks. They’ve been friends for many years, an association that likely fast-tracked Campbell’s initiation into the Mac fold. But his extensive experience at the arena-rock level, coupled with the temperament and tone of his guitar work, make him a good fit. He accurately crafted the opening of “Rhiannon” and the curlicue figure in “Gypsy,” while also supplying a bit more bite and heft than Buckingham did. That bite was apparent in “Oh Well,” a guitar-heavy track dating to the pre-Buckingham era of Fleetwood Mac. Nicks, keyboardist/vocalist Christine McVie and the two backing vocalists exited the stage as the boys in the band cranked up “Oh Well” with Campbell on lead vocals. He and a mischievous Mick Fleetwood engaged in an amusing, stop-and-start drum--and-guitar back-and-forth. Finn approached his lead vocal on “Monday Morning” with gleeful gusto; his enthusiasm was contagious. Fleetwood introduced Finn as a “reminder of how things just seem to work out.” Fleetwood recalled hearing a song long ago that he loved without knowing who performed it. Turns out it was Crowded House’s “Don’t Dream It’s Over.” To introduce “not only the song but the man who wrote it is a magical pleasure,” Fleetwood gushed. A beaming Finn strummed an acoustic guitar for the warmly received “Don’t Dream It’s Over” Nicks joined in to sing the final verse, underscoring how Finn, and his catalog, have been folded into Fleetwood Mac. The point was reiterated as Finn accompanied Nicks for an intimate, lovely “Landslide.” She dedicated it to Finn, his wife, and their soon-to-arrive grandchild. 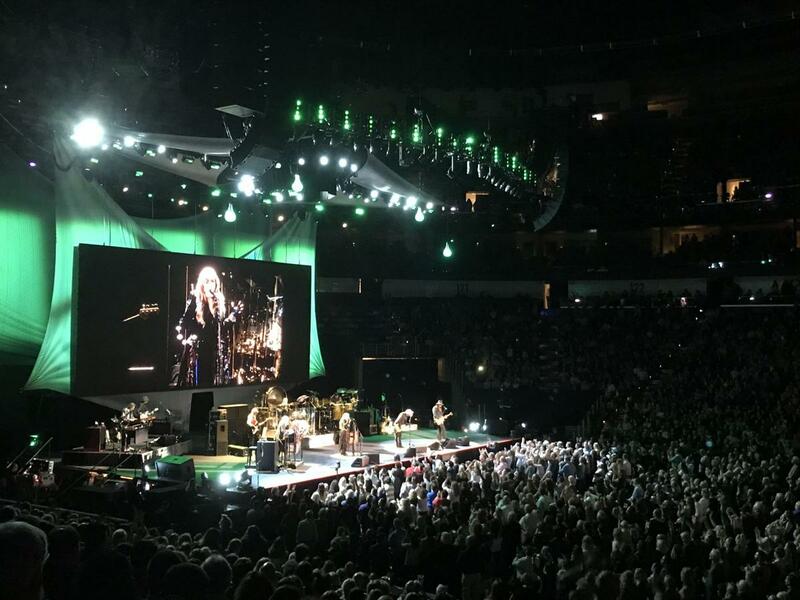 The 70-year-old Nicks also fully owned the “I’m getting older, too” lyric, raising her fists for emphasis. She elicited cheers every time she twirled or fanned out her shawl like wings. The 71-year-old Fleetwood remains Fleetwood Mac’s fountain of youth. The ensemble’s auxiliary percussionist aside, Fleetwood powered the engine with heavy strokes on his tom-toms and a thick kick drum as a member of the band’s crew occasionally poured liquid directly into the drummer's mouth. During his drum solo in “World Turning,” Fleetwood provided his own commentary and encouragement (“don’t leave me all alone!”) via a headset microphone. Christine McVie, the band’s senior member at 75, took the spotlight for “Say You Love Me” and “You Make Lovin’ Fun.” She invited fans to “dust off your Fleetwood Mac history books” before teaming up with Finn on “Tell Me All the Things You Do,” from the 1970 album “Kiln House." Such obscurities gave the band an opportunity to explore less-traveled paths and some audience members an opportunity to head for the bathroom or beer booths. Even with the hits, the musicians found ways to be in the moment, as in the extended “Gold Dust Woman.” They rendered “Go Your Own Way” faithfully, with Finn singing one of Buckingham’s signature songs. The encore opened with one of Campbell’s former bandleader’s signature songs: “Free Fallin.” A succession of photos of Petty filled the stage screen as Nicks sang one of her late friend and collaborator’s best-loved anthems. 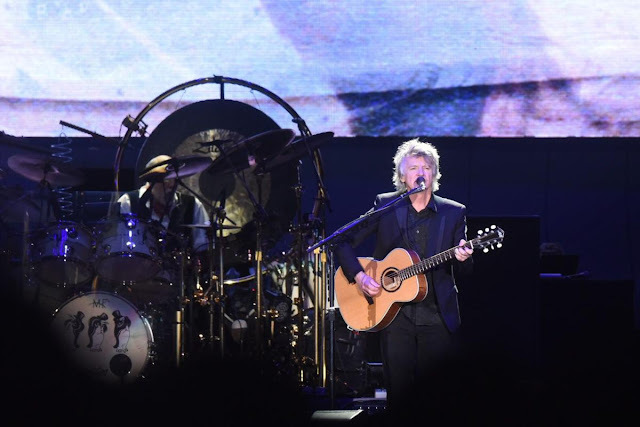 Following another Finn-as-Buckingham excursion for “Don’t Stop,” they concluded with a curve ball: “All Over Again,” from 1995’s “Time” album, the only latter-day Mac album to which Nicks did not contribute. 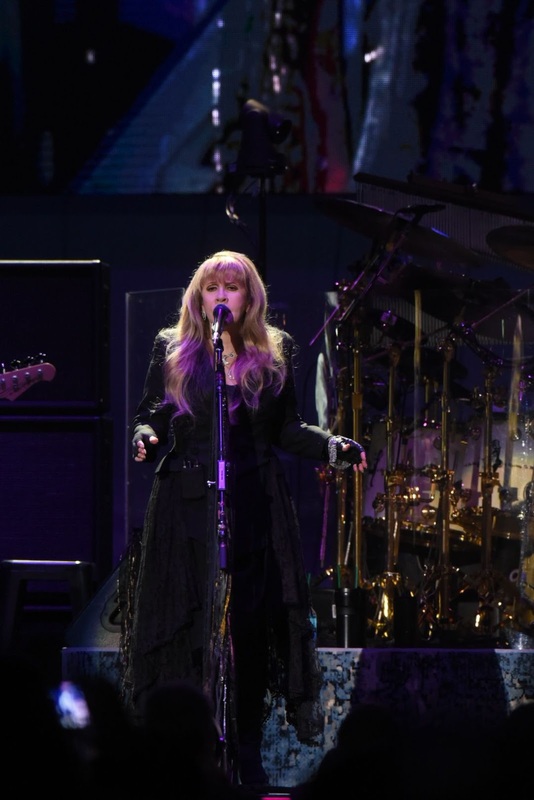 Christine McVie wrote the song “about change, surviving change, and about the future.” Onstage, she sang it with Nicks – they’d never teamed up for a duet before this tour – with Finn on keyboards. 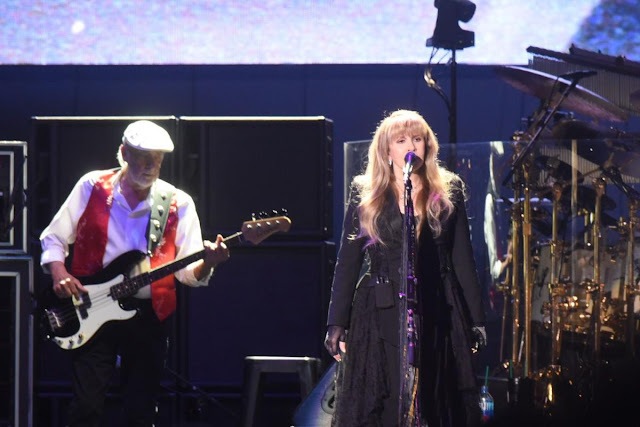 Here was Fleetwood Mac in 2019, not only surviving change, but looking to the future. Fantastic review! Cant wait to see you Nov.